We are so excited to hear that British Airways will become the only airline to run non-stop flights to the Seychelles from the UK next year. The airline is starting a direct service from Heathrow Terminal 5 on March 24. The twice-weekly summer service using new Boeing 787-9 Dreamliner aircraft will operate until October. Flights will depart on Wednesdays and Saturdays to enable 10-night trips to the Indian Ocean islands with return fares starting from £699pp in economy, £999 in premium economy, £2,499 in business and £3,499 in first. “The Seychelles is one of the most beautiful places on earth and we’re delighted to be adding this collection of islands to our extensive route network. “Customers can now get into ‘holiday mode’ even earlier with British Airways’ direct flights from London taking 10 hours, instead of over 13 hours with a connection in the Middle East. The Republic of Seychelles comprises 115 islands in the western Indian Ocean with a climate which is always warm and does not reach extremes of hot or cold. The Southern Islands lie outside the cyclone belt making the Seychelles’ a year round destination for sun worshippers and beach lovers. Temperatures are generally cooler during the months of November to March and the sea is generally calm with warm and humid weather. A larger amount of the annual rainfalls fall during the months of December to February and generally cloudier with less sunshine. The weather is hottest from December to April with humidity in excess of 80%. 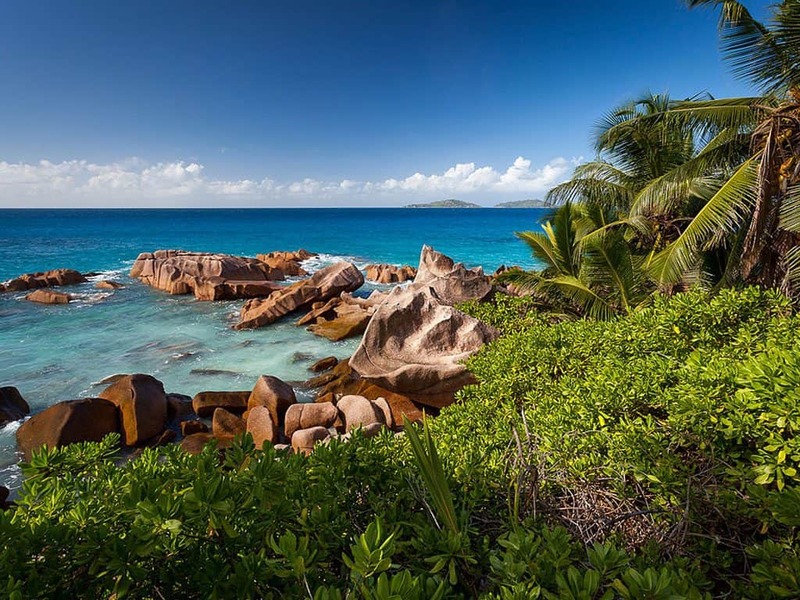 The Seychelles although a comparatively young nation is steeped in history dating back to 1770 and representative of a melting pot of cultures from all across the world. There are three official languages in the Seychelles, Creole, English and French although many Seychellios are also fluent Italian or German. Our expert travel consultant Josie Munt will be visiting the Seychelles next week so she will have first-hand knowledge of where to go and what to see. Day 1 – Arrival at the Seychelles International Airport and transfer to the Constance Ephelia Resort & Spa. Day 2 – Visit Victoria, incl Bel Air Cemetery and Eden Island. The Bel Air Cemetery, undoubtedly the oldest historic site in Seychelles, was the first official burial ground to be opened on Mahé. The cemetery’s tombs, vaults and shrines contain the remains of some of the islands’ most famous personalities such as corsair Jean-Francois Hodoul and the 9ft giant Charles Dorothée Savy. Also the remains of the mysterious Pierre-Louis Poiret, claimed by some to be the son of Louis XVI who fled the French Revolution and took refuge in Seychelles. The Victoria Clocktower, is the most prominent feature of Seychelles’ small capital, and has acted as a focal point for nearly 100 years. The Clocktower is an elegant replica of the clock (Big Ben) that was first erected in London in 1897. A visit to Mahé’s busy and colourful market is the way to get a feel for the Seychellois and their way of life. Built in 1840 and renovated in 1999, it remains the bustling heart of the capital and definitely the best place to buy fresh fruits, fish, vegetables and spices. Day 3 – Transfer to and visit Praslin Island and staying at the Constance Lemuria Hotel. The legendary Vallée de Mai is Seychelles’ second UNESCO World Heritage Site. So remarkable that it was once believed to be the original site of the Garden of Eden, this hauntingly beautiful primeval forest is home to some 6000 Coco-de-mer trees, considered to be among the botanical wonders of the world. The Vallée boasts six endemic palm species as well as many other indigenous trees and is also the last habitat of the endangered Black Parrot. Entrance fee is at SCR350 per person, to be settled directly. Like us on Facebook to follow Josie’s journey or call 01730 711010 for information on holidays in the Seychelles.